omid (mashhad, Iran) on 14 March 2018 in Landscape & Rural and Portfolio. aw !! Sad relics of the past !!!!!!!!!!!!!!!!!!!!!!! Really wonderful composition of wrecked ships. A nice graveyard of boats. They look like they had some stories to tell . . too late, now . .
A beautiful framing, light and atmosphere ! "کشتی شکستگانیم ای باد شرطه برخیز"
Great low pov and lovely light on the old wooden planks. Excellent chosen composition here, a beautiful photo as a result. Fantastic clarity and sharpness and great detail! The decaying hull makes a good subject in this picture of the sun. A beautiful picture. Wonderful composition and great highlight of the textures. 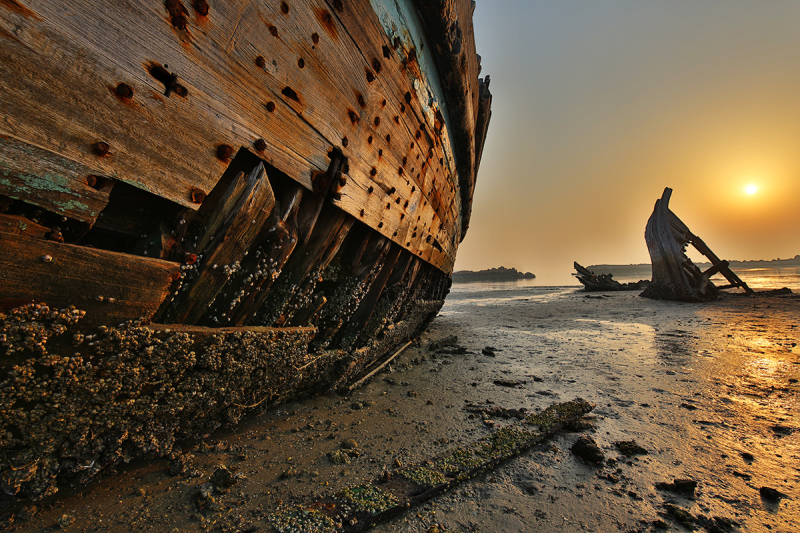 A beautiful image of these wrecks at sunrise. Splendid colors and textures captured in this shot!! Wow! What a mysterious and intriguing location! Beautiful composition and fantastic light. These wrecks are already very photogenic and even more in the colors of the rising sun! Great composition! Félicitations Omid. La lumière est très belle...sur ces épaves! Congratulations Omid with this Color Spotlight Photo. Congratulations on your color spotlight, dear Omid! So well deserved!!! Congratulations on the Spotlight Omid! This is a spectacular image! Une belle épave sous la lumière, bravo pour le spotlight. Amzing shot, Omid, a well deserved Spotlight! . . and Congrats on the Colour Spotlight, too - well done. ... and a very beautiful spotlight! Congratulations! Superb lights on this colored picture. Such a Awesome Picture & Great Light !!! Interesting framing and textures. Particularly like the light on the boat to the left of the frame.